In their 2016 report, the Alzheimer’s Association found that a staggering 5.4 million Americans are currently suffering from Alzheimer’s disease or related disorders (ADRD). This number is projected to skyrocket to 16 million by 2050, the most pressing epidemic for our aging population. While it’s alarming that someone develops Alzheimer’s every minute in the United States today, this rate has the potential to double by 2050. 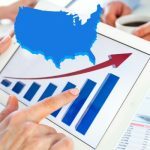 The rapidly increasing presence of such a debilitating disease raises serious concerns regarding healthcare costs and the availability of effective treatment options. As a result, we are already seeing inadequacies in dental care for patients with Alzheimer’s. Poor training and strained communication are among the most prominent reasons dental pain among nursery home residents with Alzheimer’s goes undetected, and therefore untreated. But the problem is a multi-faceted dilemma, one that will require the awareness and cooperation of patients, caregivers and dental professionals to overcome. Dr. Teryn Sedillo, DDS teaches courses and lectures on special needs dentistry at the Creighton School of Dentistry in Omaha, Nebraska. 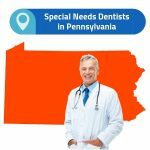 In her experience as a dental professional, she has become familiar with the roadblocks standing between special needs patients and good oral health. “A lot of people don’t associate systemic issues, other body issues or organ issues linking to infections of the mouth,” she explains. “The mouth is the gateway to the rest of your body, so everything that you’re doing follows suit.” The relationship between oral health and general health is often misunderstood, which can result in general health becoming a priority while oral health takes the backseat. This phenomenon is especially true for patients with Alzheimer’s, given the wide range of mental and physical problems that inevitably earn the attention of caregivers. Failure to provide patients with good oral care has led to an increase in edentulism (tooth loss), denture-related oral mucosal lesions, gingival bleeding, a higher accumulation of plaque and calculus and a decline in salivary gland function (among other symptoms). Oral neglect is especially prevalent in patients with Alzheimer’s because they are more likely to be living in institutions, financially burdened, have previous instances of oral diseases, swallowing problems and an inability to meet nutritional needs. 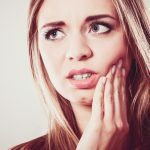 Quality of life can decline so if you have dental pain and you don’t have the correct care, it decreases your desire to eat because taste changes, you have bad smell or bad taste in your mouth, maybe you have pain where you can’t even bite or chew on that side, which can lead to poor nutrition. Patients are more likely to have overburdened caregivers, functional dependence, and irregular dental attendance. Any combination of these can result in oral health issues at some point in their lives. Unfortunately, caregivers are not always prepared or equipped to detect poor oral hygiene, and noncompliance further complicates the process. 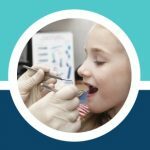 While getting the patient to the dentist’s office is a difficult task on its own, there are just as many challenges once the patient is in the chair. Professionals experience difficulties communicating with the patient, who may be confused or intimidated by the unfamiliar people and surroundings. The standard approach one would take for the average person could prove counterproductive and even dangerous for the dentist and patient alike. Professionals often find that patients with Alzheimer’s are unwilling to cooperate, such as refusing to open their mouths or biting during the checkup. If possible, the caregiver should be present throughout the process. The support of the caregiver will provide comfort and familiarity for the patient and increase her cooperation with the dental professional. Send the patient a reminder at least one day in advance. Determine the patient’s best time of the day and schedule the appointment accordingly. Make sure the patient empties their bladder before the appointment. Maintain a quiet and private environment. Keep the appointment length to a minimum (no longer than 45 minutes). 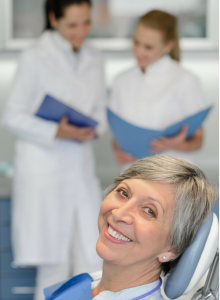 Dental professionals should provide clear follow-up instructions to the patient and the caregiver, including written instructions for the caregiver, who may be preoccupied with the patient during the appointment. For the treatment process, dental professionals should keep in mind the following responsibilities: plan multiple short appointments instead of fewer long ones, avoid treatment that will complicate home care, use local anesthetics with the shortest possible duration, keep the explanation of the treatment to a minimum to avoid patient anxiety, thoroughly explain the treatment and post-treatment instruction to the caregiver and follow up with the caregiver regarding pain or discomfort increased confusion or agitation after the visit. because “some caregivers just think about it as a behavioral issue.” Because patients may be unable to articulate that they are experiencing dental pain, caregivers must consider this possibility at all times. When patients lose the autonomy that most of us take for granted, they lose the means of maintaining their own health, unless others step in with the proper knowledge and awareness to compensate. Dr. Sedillo works with dental students every day to prepare them for this initiative. In her experience, she believes “we’re moving toward increasing the awareness, but at this point it’s not where it needs to be.” While progress has been made, there are still major challenges ahead, ones that will require great dedication on the part of dental professionals and caregivers to ensure the best oral care from cavities to wisdom teeth extractions, and in turn, the best quality of life for these patients. For information on statistics of Alzheimer’s Disease, the 2018 report on the illness from the Alzheimer’s Association. The Alzheimer’s Association caregiver center, for help for anyone who is a caregiver to an Alzheimer’s Disease patient. Alzheimer’s Disease and dental care helpful tips to increase efficiency of daily dental care for Alzehimer’s patients. The American Dental Association information on providing dental care for patients with Dementia and Alzheimer’s Disease. Alzheimer’s information and additional resources for patients living in the United Kingdom, as well as helpful information dental care information for patients with Dementia. Resources and information from “Dementia Today” that help to guide caregivers of patients with Alzheimer’s Disease in proper oral hygiene.